Clear aligners are an effective alternative to traditional braces, and involve a system of clear, removable trays used to straighten teeth. Each aligner is custom-made to fit over your teeth and is designed to gradually move teeth into their proper position. 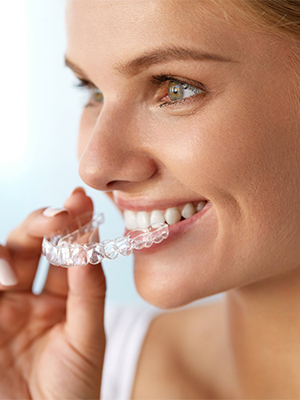 Using clear aligners for orthodontic treatment is not for everyone. The best way to find out if clear aligners are the right option for you is to schedule a consultation with Dr. Thames. If you're interested in orthodontic treatment with clear aligners, schedule an appointment and talk to Dr. Thames about whether this is the right treatment option for you. Scheduling a consultation is your first step toward achieving the beautiful smile you've always wanted.